Pain when chewing. Discomfort on the release of bite pressure. Temperature sensitivities. If you are experiencing those symptoms, then you might have a cracked tooth. It’s also not uncommon for the pain to go away then come back; this makes it harder to know why you are having discomfort. Chewing can result in the broken pieces in your mouth to move around, causing the pulp inside the tooth to be irritated. There may also be a sharp pain when the bite is released, which makes the crack to seal quickly. Even when you are not chewing, the pain will be unceasing since the pulp is damaged further; the pulp may be infected, and the infection could spread to the gum and bone around the damaged tooth. Some cracks are too small to for you to see on x-rays; they may also be under the gums. The small cracks are referred to as “cracked tooth syndrome.” This type of dental condition occurs commonly in the molars, also known as the lower back teeth, which do most of the chewing. Cracked tooth syndrome can also manifest when you clench or grind your teeth. 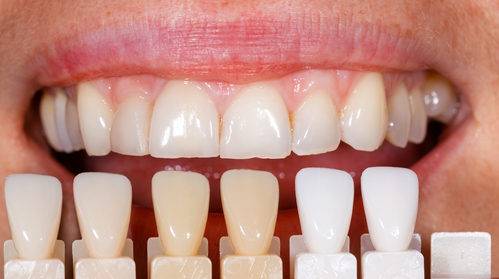 The way your teeth come together can put too much pressure on one tooth which can cause it to crack. Also, teeth with old silver and large fillings may be more prone to break. Those who have had root canal treatment done also have weaker teeth and may be more likely to crack. A weakened cusp often causes a fracture. Your dentist can remove a fractured cusp until it breaks off on its own. If the pulp ends up getting damaged, a root canal, or possibly a full crown, should be done. Small, unnoticeable cracks which affect the outer enamel of the tooth and mostly found in adult teeth. They typically aren’t too much of a problem because they are only superficial. If a crack moves down to the root, expanding from the chewing surface, it might damage the pulp and lead to a root canal. If you don’t get it treated, the condition could get worse and might lead to tooth extraction. If a cracked tooth is not treated, split teeth will likely occur. You might lose the tooth or bits of it. To restore the tooth, you will need endodontic treatments. Vertical root fracture is when the fractures begin in the root then spreads onto the chewing surface. This condition usually goes unnoticed before it needs a restoration procedure or a possible extraction. Below are the different treatment options for cracked teeth. We have enumerated them in order of the degree of severity, starting with the lowest severity. During a filling, part of the tooth is filled down if the cracked is minimal. This treatment option will take the edge off and should be enough unless the crack gets worse for some reason. During dental bonding, the broken part of the tooth is bound together with a filling material. This treatment is a suitable option for a tooth with a small chip. Wearing a mouthguard at night when you sleep could help alleviate cracked tooth symptoms. In most cases, it also helps prevent cracks. A crown is recommended if the tooth as a severe crack. Crowns can cover the fractured tooth and protect it from further breaking. When the crack has gotten into the pulp, it could severely impact the nerve which will result in significant pain. In this case, your dentist will recommend a root canal treatment. The pulp is cleaned thoroughly and filled. The crown will then be placed on top of the tooth. There’s not much you can do to rescue a cracked tooth if there is the vertical fracture to it. An extraction is your best course of action at this point. 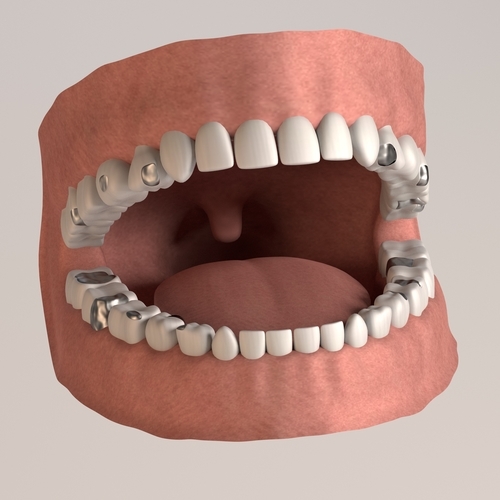 After the extraction, you have the following options: a bridge, implant, or partial denture. Talk to your dentist about each option to see what’s best for you.